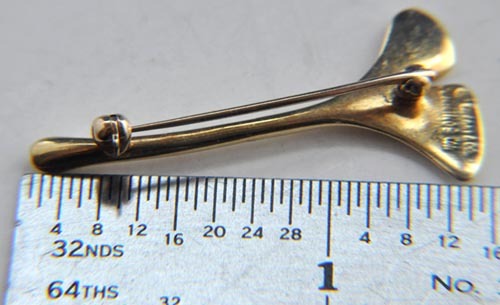 This is a SCARCE BROOCH PIN NOT AVAILABLE ANYWHERE ELSE! 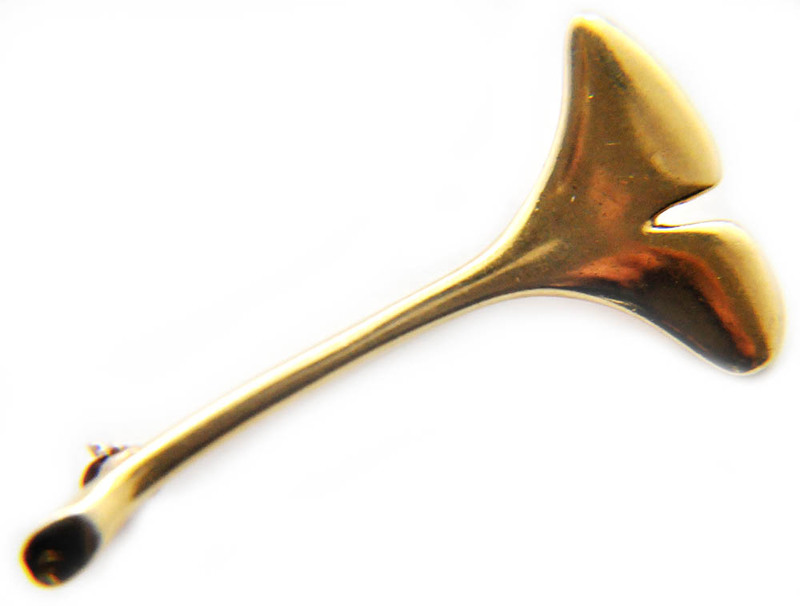 It's the very charming Tiffany & Co. Angela Cummings 1976-1977 Ginkgo Leaf brooch pin in 18 karat gold. A Ginkgo is a widely planted Chinese tree with fan shaped leaves and this is one of the leaves. Signed, copyright Tiffany & Co. CUMMINGS 18K Measures approximately 1 1/2 inches long X approximately 3/4 of an inch wide at the widest point.